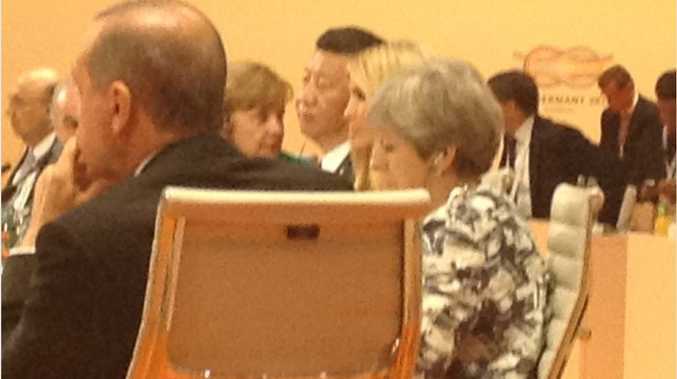 FOR a moment overnight the United States was represented by another Trump on the world stage, when the president's daughter Ivanka took a seat among a table of G20 leaders in Germany. The 35-year-old sat down next to Xi Jinping, Angela Merkel and Recep Tayyip Erdogan in Hamburg, diplomats and the White House confirmed. This fuelled allegations of nepotism against the US leader, who has put family members in top White House positions. A White House official said Ivanka had been at the back of the room but "briefly joined the main table when the president had to step out". The official emphasised that "when other leaders stepped out, their seats were also briefly filled by others." Ms Merkel also sought to play down the case, saying that it is "in line with what other delegations do". UN ambassador Nikki Haley said this was not unusual for Ivanka. "She's got her certain issues that she focuses on and when those things come up then that's where she is," Haley said, according to CBS News. She noted that the First Daughter had been "very well accepted nationally and internationally". But Mr Trump's already vociferous detractors were enraged. "And replaces Pres. Trump at the G20 table as he leaves for bilateral meetings" she said. "It's nothing unusual for an adviser to sit upfront," said one diplomat on condition of anonymity, "we have had it before." "I'm very proud of my daughter, Ivanka - always have been, from day one - I had to tell you that, from day one," Trump said before Australia's Malcolm Turnbull and Canada's Justin Trudeau. "She's always been great," he said. "A champion. She's a champion." Mr Trump then prompted some nervous laughter when he mused about whether he had made her life more difficult. "If she weren't my daughter, it would be so much easier for her. Might be the only bad thing she has going, if you want to know the truth." Ivanka was given the official title of "First Daughter and Advisor to the President" early in the administration, amid outcry that an unofficial role exempted her from ethics rules. Her husband Jared Kushner is assistant to the president and senior adviser, a top White House role. Neither of the two take a salary. Ivanka Trump has faced sustained criticism from opponents of her father who'd hoped she would be able to push him to adopt more moderate policies. Many have labelled her "complicit" in his agenda. It comes as the Turnbulls and the Trumps have united with other world leaders to help unlock the economic potential of women. US President Donald Trump said the US would contribute $US50 million ($66 million) to a new World Bank fund conceived by his daughter that aims to help women entrepreneurs access capital and other support. Ivanka Trump joined World Bank Group President Jim Yong Kim on the sidelines of the Group of 20 world leaders' summit in Hamburg, Germany, to launch the Women Entrepreneurs Finance Initiative. Mr Kim said the fund had raised more than $US325 million ($428 million) so far for projects and programs to support women and women-led businesses by improving access to capital and markets, providing technical assistance, training and mentoring, and pushing public policy. The fund grew out of conversations between Ivanka Trump and Mr Kim early in Mr Trump's administration. "This is not a cute little project," Mr Kim said during a panel discussion, arguing the effort would spur real economic growth. Mr Trump, Lucy Turnbull, Canadian Prime Minister Justin Trudeau and German Chancellor Angela Merkel also spoke at the event, where Mr Trump said the fund would help eliminate barriers for women to launch businesses, help transform "millions and millions of lives," and "provide new hope to these women from countless communities all across the world." 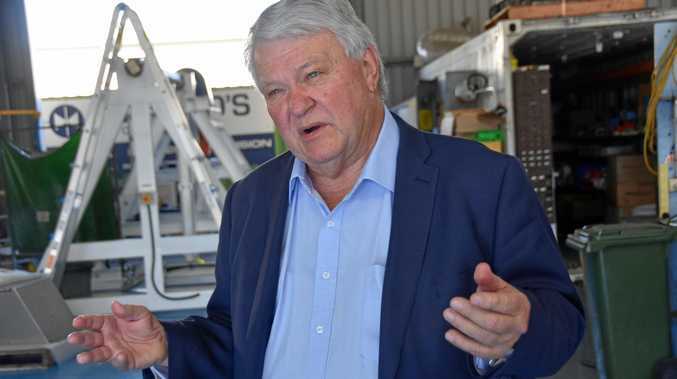 Mr Turnbull praised his wife, Lucy's efforts. "I was proud to hear Lucy speak at the #G20 Women's Entrepreneurs Launch," he said. "Lucy said in order to empower women in developing countries it was critical that their safety and security was addressed." The president has been criticised for crude remarks he's made about women over the years, including a recent tweet focusing on a television news host's appearance. Mr Trump's senior staff is dominated by men, despite the considerable influence of Ivanka Trump, who serves as a senior White House adviser. In addition to the US, Germany and Canada, the new fund has also received contributions from Saudi Arabia, the United Arab Emirates, Japan, Australia, China, Denmark, the Netherlands, Norway, and South Korea. During his 2016 campaign, Mr Trump frequently criticised rival Hillary Clinton's ties to her family's Clinton Foundation, which received millions in donations from Saudi Arabia, the United Arab Emirates and several other Mideast nations for charitable work. During an October general election debate in Las Vegas, Mr Trump demanded that Mrs Clinton "give back the money you've taken from certain countries that treat certain groups of people so terrible." He said then: "Saudi Arabia giving $25 million, Qatar, all of these countries. You talk about women and women's rights? So these are people that push gays off ... buildings. These are people that kill women and treat women horribly. And yet you take their money."